Ask - 04.2019 » Download PDF magazines - Magazines Commumity! 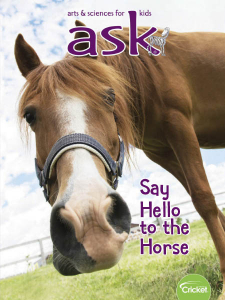 ASK is an award-winning publication that allows your child to investigate the world with past and present inventors, artists, and thinkers, and scientists. In addition there are contests, projects, Web experiments, games, and puzzles for kids ages 7 to 10.